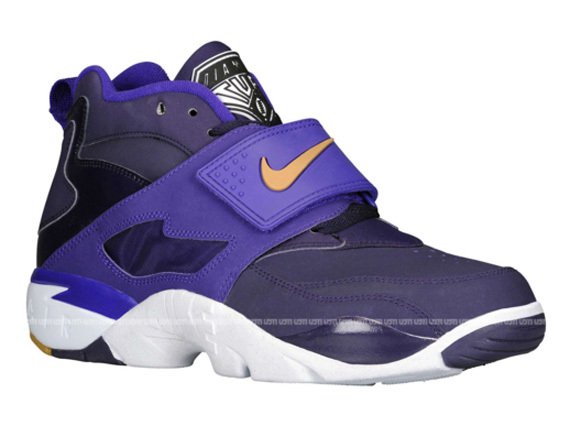 The new looks continue for the Deion Sanders-endorsed Air Diamond Turf with this all new purple-based colorway. Releasing at the end of this month, the football classic sports a purple durabuck upper, along with black laces and metallic gold Swoosh logos over the midfoot strap. Classic Diamond Turf takes its place on the tongue, while a white midsole finishes off the Deion Sanders classic below. The Purple Dynasty/Metallic Gold Nike Air Diamond Turf is set to touch down at retailers on November 30th.